It’s time for baseball! Welcome to the world of baseball! There are 15 top popular baseball accessories! Whether you are an amateur baseball player or a professional baseball player. Whether you are an association in need or a personal preference, you will always find what you want. Baseball trading pins is a fantastic way to show your favor. You can take them to a baseball game. For a professional player, wearing trading pins for baseball at the game is vital for the final winning and enhancement of the pleasure of competition. For example, players will wear custom MLB baseball pins at MLB baseball games. Display way: wearing it on your cloth/ on your hats / on your bags. Baseball medals are products after match finished. There will be winners and losers. Baseball medals will motivate them try their best. It is a honor in the baseball match. Display way: hanging it on the neck. If your team has abundant funds, your uniforms will be customized. Using some baseball patches on the team uniform is inspiring and promoting. For baseball lovers, they usually choose some clothing or apparel with baseball patches to show their love for baseball. Display way: sewing it on the cloth/ on the hats / on the bags. If you think that baseball medals are a little bigger, then I suggest that you can order baseball challenge coins, because it can add more information on the two sides of the coins and is smaller, which looks more delicate and easy to carry. Display way: as a commemorative coin. Baseball keychain is a good choice for baseball lovers as a souvenir. You can add baseball, baseball glove or baseball bat on them. Display way: hanging it on the belt with keys. Baseball belt buckles are customized by some big association because of high costs. Baseball players sometimes need them. Baseball lovers can select it to match baseball clothing. Display way: wearing it on the waist. For some baseball clothing, designer will choose special baseball cufflinks to decorate their clothing. Display way: decorating on the sleeve. In the baseball game, staff needs to wear work ID cards. Selecting baseball lanyards will mostly reflect the professionalism of an event. Display way: wearing it on the neck with work pass. Baseball wristbands usually are prepared for the spectator. Wearing it will show their favor for baseball. 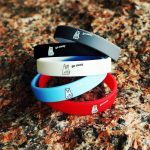 Some people will choose buy one to show their support personalization. Display way: wearing it on the wrists. Baseball ornaments can be used in the big match. When people enters, they will see them in the decorative trees or other place to strengthen the baseball atmosphere. Display way: hanging it on the trees or walls or doors. When you have something urgent in the team and need to leave a message, baseball magnets are wonderful way to meet your demands. If you love baseball, you can buy one and use them on your car to show personality. It is convenient to use. Display way: sticking it on the fridge or car. Baseball buttons can be used on the clothing for matching baseball uniforms. It looks cool! Display: sewing it on the cloth. For some baseball lovers, especially children, they like choose baseball stickers and stick them in their books, cups or cars. Display way: sticking it on any place. In the baseball match, there are some items to be classified, choosing baseball labels is funny and you can write something on the labels. 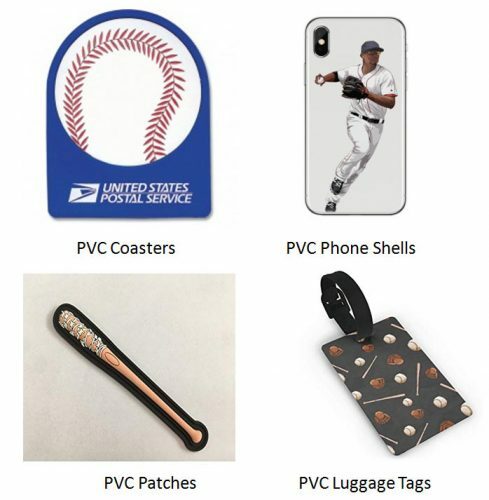 There are other baseball PVC products like baseball PVC patches, baseball PVC luggage tags, baseball PVC coasters, baseball PVC phone shells and so on. For instance, PVC patches can be used on the cloth, PVC luggage tags can be used in the baseball player’s luggage in case of lost, PVC coasters can be used in the drinking and PVC phone shells can be used on the mobile phone as a decoration. What you see is a world full of baseball ornaments, baseball labels, baseball medals, baseball challenge coins and so on. What you wear are baseball lapel pins on the clothes, sewed with baseball patches, baseball wristbands on the wrists and baseball belt buckles on the waist, hanging a bag with baseball PVC patches on the hands, baseball keychain on the belt, taking a mobile phone with baseball phone shells to take a picture, etc. YES! You must be a BASEBALL FAN! Enjoy the wonderful world of baseball! 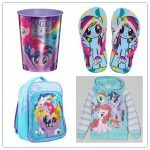 All the above products, GS-JJ can customize for you. You can customize them in one store. Convenient ,right ? You will get a discount price! uonfxp,Waw! Its really great and wonderful ever i found. Thank you for sharing this info.